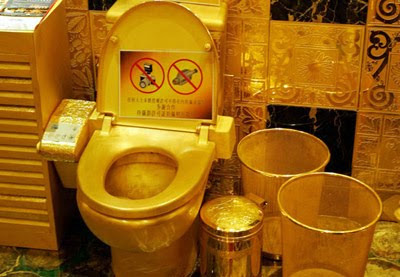 FOFOA: Gold Urinals or Smokes? In the comments section tonight, someone asked, "What happened to the price of gold in Russia when they defaulted? If anyone knows or can send a link, that would be helpful." I was quite young then, and didn't know anything at all. I just reached 18, when the hyperinflation broke out. Honestly, I can't tell you much about gold, because it didn't exist in my experience. I can only tell you what I was smart enough to notice. First, when you talk USSR, you have to understand that we were living inside a propaganda aquarium that was inside of the propaganda aquarium that exists from our common point of view today. Meaning, that for us then, to know the truth as average American knows it, was a huge progress already, unthinkable, and you could find may-be one in a hundred (may-be) who even knew enough to understand that USSR is just a big bold lie. I am not aware of any single soul who knew more than that, no-one who could participate in this current discussion. Gold. All we knew about it is that urinals supposed to be made of it when we reach the communist prosperity. And, a lie that USD is backed by gold. Nothing else about it. We knew that Stalin mined gold, and that gold mines are still in operation, but we thought it was all for the jewelry. I did not know that Stalin purchased every bit of "landlease" from US for pure gold, until I was here. They told us that "landlease" was a completely free, selfless gift from the United States, and that without that gift, we would have fell under Germany. As far as I know, every honest person loved US for that magic help in the worst time. At any time before and during hyperinflation, one could go to the swap meet and sell his jewelry to gypsies. This was a better deal that Soviet "ALMAZ", a government run jewelry store that was the only other purchaser of gold. ALMAZ was giving us a penny on a dollar and Gypsies were giving us two, but were much more riskier to deal with, as they used all kinds of tricks. Most everyone I know sold their family gold, what small amounts they had, to survive the hyperinflation. Sold for nothing, due to widespread lack of knowledge and consequently lack of marked, also helped by import controls and price controls. Personally, I had no gold. My father was an important communist, and my mom was a typist. Our family heirlooms were taken back during the revolution, in 1917. My mom paid for 18 years into my "maturity fund", which sat in the Savings Bank and accumulated tiny interest. As I reached 18, then a withdrawal could be made. This was a thousand rubles, big enough to buy several boxes (not cartons) of imported cigarettes. Through her cries I did just that and hide it all. About a week later, the news anchor said that the rumors of devaluation were completely off base. The next day, Saturday, the finance minister personally assured everyone on TV, that everything is honky dory and no devaluation is even in the plans. The devaluation announcement was made on Sunday, yes, the next day after that. Suddenly, all money were not good for anything. You had to stand in a huge line to get in to the bank and then to exchange only a small amount of old money into the new banknotes 1 to 1. Everything above that, burned. After that, the price increases really started in earnest. I couldn't decide what to do with my smokes, because the prices were going up so fast. So, we were surviving like most everyone, by stealing from factory plants. Somehow, all of that industrial high quality stuff ended up abroad. I saw it all on swap meets in Turkey, few years later. Wherever one had been working, this is were he took the stuff from. Again, I can't trace it for you who was providing the other side of transactions, as I wasn't asking myself those questions. When prices finally began to stabilize, the country was swept clean, of most of the industrial base. This is how we paid for it. Those who just purchased homes, found themselves to be able to pay them off awesomely quick, because prices were increasing faster than any interest owed, and the salaries were increasing too, although at a magnitude slower pace, but still much faster than the rate of interest. Some folks made last bulk payments equating years of normal payments with just their last paychecks. But this was happening only to relatively high income ones. Those on the bottom, saw real estate prices running away forever. I sold my smokes pack by pack, basically where there were no stores, along with smuggled moonshine. Smokes turned out to be the ultimate store of value par excellence even showing some ROI. I can't think of any other commodity that did so good and wasn't perishable as sugar, tires and flour that other folks hoarded. I have found out that this is the single item that is always in demand, and easily traded and sold. Smokes were also easy to buy in bulk even as the whole thing already started to slowly unfold. I say that this is the item to spend the last paper that you know will burn, but it is too late to buy food or better stuff. Some people had literally warehouses of tobacco products. So, that is it. I am sorry I can't tell you anything useful about gold. Tobacco goes stale, Gold doesn't. Those addicted to nicotine will still use stale products if that is all that is on sale but they will also seek out fresh tobacco products. Gold never gets old. propaganda aquarium, inside an aquarium... ad infinitum. hmmmmm, that reminds me of somewhere else. I was a kid when Velvet revolution in Czechoslovakia started. Before 1989 - True aquarium in aquarium with monopol for information flow. Few who were allowed to travel often seen the difference. Others stopped asking bothering, they had more important thing to do - to live, to make their living and be happy. + You get "all" you need: house, job, security, stable money, free health care, sport opportunities, free studies, mopst basic needs covered. - You do not mess up with politics! - No private ownership of businesses. The 1989 revolution succeeded cos military and police moved to the camp of protesting work class. The visible move started with students who were pissed for some time for being under pressure and crashed peacefully demanded small changes. - If there was outside involvment or not will be known if archives are not destroyed. - Rotten from inside out? Perhaps, but was more or less profitable and self sufficient with cheap oil from ally USSR (Same with USA today?). - If some people designed this is also unknown, sure is that the power structure just changed cloth, the most brutal ones were removed. - IMF stepped in and we devaluated to suport export. - There was never big investigation who was to be blamed, everybody was happy that system changed. Naivity and hopes were stronger than fear from needed changes. - Business, economic, production system per se was totally destroed as supply-demand/distribution chains were in ruins..
- There was no gold in between people, nobody was hoarding, savings were considered safe, no huge profits possible, low but stable percentage on savings for many prevuious years. - I would describe it as chaos from naivity. West has its own, they do not know how to live outside cities supported with energy and other life support "neccessities". They will learn the hard way. 1992/1993 we split into 2 countries as there was a big power strugle as it seemed we were generously fu*ked and nothing worked. So we devaluated again and got more loans as a state. - My grandfather money he earned with blod and sweat (10 000 Csk) and saved for each grandchild were whipped out like a toalet paper. If they had a chance to save in gold, yes it would be nice but this opportunity was not possible - nobody was rich and only the top connected had bank accounts abroad. - It took my parents and to the majority few years to change dirrection, learn about the new environment, learn new skills and use them to be profitable again, during this time savings again were drained. - I wa in studies and it was great time, so many opportunities our parents did not have - to travel abroad, to get shiny loud toys, better more advanced materials, better machines, electronics, etc. - One big NOTE: not many people know but we were on the first wave with computers and we produced good stuff, unfortunately this was not liked by party, so they stoppeed it. Now we see the same in China where it works so you know where we are getting. - If you think big the whole Eastern block was put down, it should create its own new block, re-develop inter relations and then join west in some kind of union, not independently. We competed instead of cooperation. BTW: IMF took all gold from us. Once I tried to find out to whom it was sold but there is huge embargo on this. Once proud and positive in ballance, now a ruined state where even the land does not belong to the people (western countries buy out big time the most fertile land). - Restitution was too slow but perestrojka (privatization) was wild unregulated and nasty. - What helped was really the following the new rules and peoples ability to survive trade between each other based on their skills. - Very useful were materials & transportation. Rebuilding takes hell of power, you do not use your hard earned wealth in unsure times. You hoard and keep it for later unless you have really good business plan. - So what helps? To be in a "know" where the state goes, what new enterprises will be needed, how law changes, how much grain, transportation is gonna to be needed, etc. - Real basic products are needed, but producing them is risky, making business fast and efficiently is what counts. During the time of transition most valuable skills were sharp shoulders and connections. Law system was in ruin and over loaded, things happen to improve when the court system started to function and party changed in 2002, so more than 10 years from that point, and in that time also the most visible economic criminality was uneder control (or most things already stolen and new rich were born). Best thing to do is to emigrate if you can, if you stay prepare your stomach to swallow lot of hard stuff, it is tough for your perception of what is fair play and what is necessity and what is just the failure of the system, gain new experience from outside and return after few years, take it as a new challange, learn how to do hard strategic decisions. Preserve your wealth but make some of it work for you already now, have allways the plan B and plan C just in a case, maybe small yield somewhere but it will pay off in future. Ps: Cigarets are ok, but you need to know the timing, they do not stay ok for long. Food etc, opportunists usuyaly take care of this but some stuff to have is good. If I were a Rothschild. I would have uncountable riches in land, fine art, commodities, gold and stock and bonds and even more modern financial instruments. I would want to derive enough income from this wealth to be able to provide a living fitting of a Rothschild for myself and my progeny. I would want this income in all times, good, bad, and horrible. I would also like to double it in my lifetime. I would know about the endless flow of eras, through steam, empire, electricity, petroleum and nuclear weapons. Ages of discrimination and libelous publicity would make me shy of the limelight. I would not want the publicity of the masses, but prefer solid but quiet relations with cultured and sophisticated people of similar refined education and tastes. My friends would know about the rapture of owning fine art from the masters, of fine automobiles any yaughts, of private jests, of race horses, of the best foods and wines. I would want to gain a high level of influence of the media, or possibly even control if it could be achieved without sacrificing privacy. I would use this media influence to keep the family name and rumours of its wealth out of the tabloids other mass media. I would have connections, networking with the worlds nobility, upper classes, and old wealth through family connections going back centuries. If I didn't already know a politician before he achieved significant power, I would know others who did. I would have powerful contacts peppered throughout the world through all the elite schools that I, my siblings and my cousins had attended. I would know the worlds private bankers. I would know the worlds current celebrity class through parties in Caens, Majorca, and all the western capitals. And through the celebrities, I would know much of the the noveau-riche. If I were a Rothschild, I would know the family history of family induced market crashes and frenzies. I would know about how Nathans used carrier pidgeons to profit massively on Wellington's defeat of Napoleon. I would know about market manipulation in the 20's, of Germany's hyper-inflation, of what assest survived the wars and the halocaust. I would know that in the worst case hidden wealth is the only wealth that remains unconfiscated and over-taxed. I would know that in the long term playing stocks in the stock market is little better than gambling in a casino. And I certainly would know that gambling is not the way to accumulate wealth. I would know about buying at the bottom, using other people and their money to drive the market into a frenzy, and then safely getting out before the top. I would know how to cycle through asset classes buying low and selling high by using my contacts and my media influence to guide and shape the markets. I would have sold my stocks in 1999, and moved back into gold in the the last decade. I would have already quadrupled my money in gold, after doing the same in the fiat bubble of the 80's and 90's. I would be using my contacts to drive up a gold prices in a frenzy, and I would be thinking about the best way to sell a good proportion of my gold after the coming crash. I would be planning where to buy land and commodities after I move out of gold. If I were a Rothschild, I would be pushing for a single world currency and globalization, so I could repeat this cycle after the dawn of the next era. Illuminati Joe, is that you? This blog is forbidden for illuminati and NWO. If you are one, please do not visit anymore. Thank you. So the gap in between in 1992 (Czk -> Csk) is the devaluation. Like this it does not look so bad but in general compared to hard currency - German mark - of that time shows how bad it went. When inflation is too obvious -> devaluate the currency, change name and symbol. It shows how inflation works in centrally planned economy where state has monopoly, when market does not work well. It is really hard to evaluate in cpi e.g. cash for clunkers thingy, state support to farmers, lower energy input, changes in taxation, etc. I was just thinking about how the Rothschild's would have driven down the gold prices in 2003-2005 by influencing the central banks to sell their bullion then (think of Brown's bottom), and then how they would use the same influence to drive the gold prices up by influencing other central banks to buy bullion now. I think it all fits together very well, and I posted it as an indirect and not so subtle warning to commenters here not to get too carried away and put all their money into gold. The Rothschilds have gotten richer through this type of manipulation many times before. On the subject of NWO, IMO it is to be resisted at all costs. I say this as a EU opponent and Swiss patriot who believes in small government, strong independence and direct democracy. Hi I'm in my mid 20's, learning as much as I can about the economy and where we're heading. One thing I don't quite understand in relation to having a currency crises is how stocks are affected. Are they a separate storage of value? From my knowledge, when you buy a stock, your buying equity in a company. Therefore, you own a piece of that company.. not money. So let's just assume the value of the stock before a major currency crisis occurs is $100 and the VALUE remains constant. The next morning, the US dollar becomes worthless (1 cent on the dollar from the previous day)... does the value of that one stock skyrocket to say $100,000 due to the fall of the dollar? In other words, is that ownership in the company you bought independent of the money in which you paid for it? Is the value of that stock re-adjusted to match the new value of the currency? China signalled it will allow its currency to appreciate against the U.S. dollar, bowing to international pressure days ahead of a visit from U.S. President Barack Obama. The move to allow the yuan to rise against the greenback would provide much-needed relief to countries trying to compete against China's mighty export machine and put further downward pressure on an already battered U.S. dollar. China's latest quarterly monetary policy report said its foreign exchange policy will now consider “capital flows and changes in major currencies,” indicating China will carefully expose the yuan's value to fluctuations in global markets. Isn't Willem Middelkoop a Dutch guy? Dmitry Orlov's Closing the 'Collapse Gap': the USSR was better prepared for collapse than the US is a well know piece on how Russia was much better prepared for her collapse than the US will be for hers. Stock indeed represent a part of a company, and as such are likely to do relatively will during inflation/currency crisis. Owning stocks does however mean going digital and involves counter-party risk. As long as the stock trading system upholds you might do relatively well, but I am not to certain about what would happen in case the stock market mechanism would break down. I have argued before that an appreciating Yuan might mean downward pressure on the dollar. Especially if the Chinese stock market continues to perform well, people would prefer the profits from relatively safe Yuan-denominated stocks over being in gold which pays no dividends. Yes, for few multinationals who survived the economic collapse. They are good shares. Why does Warren Buffet bet on railways? He is not stupid why he is so generous with his buy price of these shares... He thinks that transport will be expensive and the transport via rails is one of the cheapest in the possibility of oilshock. It's also a bet on coal. China is spending close to 1/4 of GDP to pump up their economy. Check out the reports by Chanos and Pivot capital on the rampany overcapacity in the country. There is nothign safe about china. For a picture tally the bank lending numbers this year. And then comapre them with the NCO numbers reported by the majors. Who knows maybe the are all money good, but anecdotal rumor suggests there is rampant overcapacity. A depeg targeted might inded have much less the benefit than would be expected when you cosnider a relax might accompany a redistribution of savings to alternatives as well. That would act to cushion the major swing perhaps. That said that the Chinese are selling bonds should be a bigger worry to US Treasury. competitively deep long term capital is a dager to the heart of the US. I am not saying China is all good, but in the midst of winter a sunny day might make some believe its summer again. What I mean is that when compared to the US, China might look good enough to convince foreign investors, and with sufficient believe, fiat money has proven to work - at least to a certain extend for a limited period. I was the one who asked the question on the Russian default - thanks for the replies. "propaganda aquarium, inside an aquarium... ad infinitum. hmmmmm, that reminds me of somewhere else." No doubt Anon. And no, it certainly does not mean that Yann. Someone did bring up a good point that I'd like to throw out for discussion. To avoid having all your eggs in one basket (i.e. all your savings in Gold), what would be 2nd level stores of wealth/investments. Again, consider this from a perspective where deceit and government cronyism is rampant. How much in gold ... 25%, 50% 75% ? And the remainder.... where to put it? There are very few alternatives to PMs at this point for capital appreciation and preservation. As the saying goes "chance favors the prepared mind." And we have everything going in our favor. All in and if not for myself then my heirs. IMHO. I'm not so sure whether rhodium, platina and palladium are good stores of value compared to gold. Whereas gold and silver are associated with wealth the other precious metals are just commodities to me. Another problem is availability, its easy to get your hands on gold and silver but the other precious metals are a lot harder to find. After VAT platina and palladium easily cost 40% more than the spot price at the few places I know where I can get them and Rhodium is nowhere to be found. Consider the (German) currency reform of 1848. The Deutsche Mark was introduced by the allies. * The old Reichsmark and Rentenmark were exchanged for the new currency at a rate of 1 DM = 1 RM for the essential currency such as wages, payment of rents etc. * Each person received a per capita allowance of 60 DM in two parts, the first being 40 DM and the second 20 DM. See a photo of a woman receiving 40 marks . * Conversion from the reichsmark (RM) robs many small savers of their reserves overnight. Saving deposits are reduced to just 10% of the original nominal value. And half the deposit is frozen for a fixed period, after which 70% of that nominal sum is again taken away on the release date! Thus, only 6.5% (5% + 5%*0.3) of the original deposit was recovered!!! * Industry does a lot better, since productive capital treated much more favourably. Shares retain their nominal value. Hence, shares could do better than saving deposits. However, gold would definitely outperform any other investment. That being said, there might be some merit in owning some liquid shares in industrial (non-financial) companies (may be such as railroads as Mr. Buffett does?). Gold may go into hiding or you may decide to wait for the establishment of law and order before trying to sell (display) your gold. Timing is important for this action - waiting for a deep correction may or may not be aprropriate!? Who knows? ""Cows are suddenly producing milk again. Potatoes are growing again." Money seems to work magic in the summer of 1948. From one day to the next, shop windows are filled with wares. However, while the long-awaited consumer goods are finally being stacked up on the shelves, the public mood remains negative. People curse the high prices, the hoarding and the marketeers. Sceptical about the launch of the "social market economy", Cologne's carnivalists sing: "How are we supposed to pay? Who's got the readies? Who's got the dosh?" Consider the (German) currency reform of 1948. And yes, there is a risk in declining of the value (of Rh, Pt, Pd) caused by deleveraging of hedgefunds. A buy moment for the long term. No one can own company. Limited choice of products. Free health care and school. If you want good care you have to pay under the table. Big brainwashing communist propaganda. Average salary may be around 200-300$. 200%+ inflation in a matter of month. Rampant racketeering of businesses. Gangs killing each other bosses. 2 or 3 major racketeering/insurance companies at the end left. Next new currency with higher denomination. The socialist government was taken down in a month. New transitional government elected. In a matter of year average salary back to around 100$. Decision made to join the Euro Union. Our currency was pegged to the euro 1.95 lv : 1 euro, still pegged until we switch to euro. At some point we removed '000' from the currency. Overall : Rampant corruption. Whole manufacturing companies sold for pennies. Most of the cases only the real estate of the companies is worth more. collapse of the communism 95% of the ppl. owned their apartment/house outright. groceries were empty, later groceries were full ppl didn't have money. Part of the Euro Union and NATO. getting really tough, no more easy loans i think :). By memory I think overall we have 4-5% GDP growth most of the time. no such thing as fixed mortgage. Banks just don't have such a product, clever stealers. All mortgages are Adjustable !!! No backing for the $ now though :). To all; will it be deflation or inflation? That is the question! Let me start by giving my opinion on the final outcome and then explain the why or how part. As you all know, I believe we will end up with a different if not completely new monetary system as a result of the Dollar's failure. This failure of the Dollar will be described by historians as a "hyperinflationary event" that basically zeros out paper assets that are Dollar denominated. Other global fiats will join this hyperinflation nightmare and thus "zero out" their paper obligations. This I believe will be the final chapter of the greatest fiat experiment known to man leading up to a new currency regime. It's the "how do we get there" that I nor anyone else can know for sure. My opinion is that somewhere in the not to distant future we get another deflationary panic where asset values get smashed again. These assets will include commodities, real estate, paper assets associated with real estate, stocks, corporate bonds, etc.. In other words, FEAR will re enter the hearts of investors world wide. Accompanying this will be a bounce in the Dollar. In other words I think we will see an asset crash like nothing we have seen before with a caveat. Last year we saw EVERYTHING thrown out including Gold, I don't think we will see this again to the same extent or even close. This next panic will be fast and furious with huge haircuts on a daily basis. The initial reaction will probably be a "flight into the Dollar" and include U.S. Treasury bonds. I don't believe this "flight" will last very long until the thought process changes into one where the solvency and credit worthiness of the Treasury comes into question. This...is what leads to hyperinflation, a LOSS OF CONFIDENCE IN THE ISSUER! I just can't see the stock market going straight up from here as would be the case if hyperinflation were but days or weeks off. I think that foreigners will sell U.S. assets as vote of "no confidence" in the Dollar and THIS may be the spark to the panic. The vote of no confidence gets the ball rolling downhill and will be mistaken for a deflationary event which will be exacerbated by the "carry traders" who have their fingers on the sell button 24/7. The unwinding of the carry trade may get the Dollar bounce started but sovereign supply from central banks and continuous Treasury beggings will kill any rally of substance. I believe during this "failed rally" that the ultimate hyperinflation will be sparked. It will be at this point that the "light bulb" goes on and investors begin to flee anything Dollarrelated. I do not believe Gold will have anything more than a 10%-15% correction during a potential deflation scare and will probably be like Paul Revere warning everyone with an early upside move in anticipation of a currency trainwreck. There is another possibility of the "how" do we get to hyperinflation. We could wake up one morning after sleeping on new highs in Gold, commods, stocks, etc. and the Dollar hits a 3-7 point downdraft that results in a panic and wholesale dumping of anything and everything Dollar related. THIS will be the final outcome as I see it, the question in my mind only remains HOW do we get there? Make up your own mind and plan accordingly but I do not think it's wise to try to trade out of your PM insurance assets based on a "what if". Once we get to the point of a "new currency", the game will be about ounces and how many you have control of. If you erred and traded out and missed the buyback, you will have "less ounces". You cannot be caught with "less ounces" and more of anything else because once the currency implodes, the tollbooth on the road to wealth will collect few tokens other than those made of Gold and Silver. Regards, Bill H.
I personally think that we will wake up one morning and find the dollar collapsed and everything going haywire in one day. I am not sure on this point. However I do not see us going into another deflationary scare. The world is watching these crooks with vigilant eyes. I do not think that they would be that stupid to repeat the 2008 scenario again. And now someone from Iceland? agree on the fast and quick. Far too many people are vigilant and evenan an orderly selldown would allow for too much leakage. Fast and violent. FOFOA there are many people from all around the world here, it would be nice to see some graph, pic where we all come from. Is that feasable for this blog? Please consider.. This story is developing into quite the conspiracy theory! Verging on the incredible. Either Rob Kirby has gone off his meds, or REAL gold will soon be in the stratosphere. Kirby speculates that Rubin and Summers around 1995 made up over a million of these tungsten bars and stuffed a lot of them into Fort Knox. The rest were dumped on the LGD market. Apparently some of this was discovered by 2004, causing NM Rothschild & Sons Ltd. to want to gtf out of the gold market. Then in Nov. 2004 they launched GLD, the ETF to create a slush-fund cess pool in which to hide the tungsten bars from daylight behind the legal curtain of the GLD prospectus. There they slept until Sept. 2009 when some of these bars were "accidentally" sent to China to relieve a settlement crisis that had developed. At the same time as the BOE apparently assisted in providing physical to JPM and DB to settle with the Chinese, the GLD ETF bar list dropped from 1,381 pages to 200 pages then back up to 800 pages. Kirby also claims that the number of tungsten bars found by the Chinese is between 5,600 and 5,700, a total of 60 tonnes worth! If true, someone needs to go to prison. Martijn, is this an illuminati story or not? First the Japanese are caught tryng to dump treasuries (fakes) in massive denominations and then the Kirby noise. One word: scary. Here is a list of the total visits by country for the past month. 122 countries. I believe "Not set" represents visits from computers where the internet is most heavily controlled, blocking IP info. gents, check out kirby analytics. he is top notch. the breaking story on tungsten/gold is real I believe. things are going to go hot real soon. it is logical with the fractional reserve gold leasing/suppression market. and we know that these days malfeasance is BOUNDLESS. So read, and batten down the hatches.. I will be reporting later tonight as I am reading some dynamite material. I will be reporting to you at roughly 10 pm tonight. Gold: As much as you can buy, hide and keep your hands off. The rest: Same as you would any hobby such as motor bikes, cars, trading cards, old books, militaria, antiques, old toys, trinkets, sports season reservations, golf clubs, nouveau electronics, computer games. P.S. Don't forget to store some food, fuel, ammunition and bribe items for yourself and the neighbors, especially if there's shortages, rationing or food coupons on the horizon. FOFOA, given the kirby article and rampant speculation on both fonts, care to share any views of the various metal seller apmex, kitco or other global platforms? But this fake Tungsten gig has to be one of the best! I love it! It is a great fraud because these guys thought no one will ever see these bars...until someone did! a bit like the Hunt bros with Silver! All the fake bars!! Ha! HA!!! With regards to test for tungsten (Wolfram), the link above states specific density of tungsten higher than that of gold, and then it is suggested that the fake infill is made from tungsten powder to lower the density to that of pure gold. I think that the information there is incorrect, as the density of tungsten is 19.25 g/cc, while that of gold is 19.30 g/cc. The gold is heavier than tungsten. The gold is therefore even more heavier than tungsten powder would be. Electric conductivity test is incorrect as well, because the current travels through the surface, not through the core. Thus, it will be indifferent to the pure gold core or that of tungsten. Based on the above, I don't see how a tungsten filled LGD bar can be made. It is either going to be larger than that of gold by volume, or it is bound to be lighter. At 400 OZ total weigh (12440 gram), (644.559585492227979 cc) it should be easy to spot. The more tungsten they infill, the easier it will be to spot, and the less tungsten they infill, the less is payoff for the risk and work. Let us say that the 644.559585492227979 cc bar is half gold and half tungsten. Then, the tungsten part will eb 6,203.88601036269431 gram, while gold part will be the usual 6,220.00000000000001 gram, meaning that the whole bar would be 12,423.8860103626943 gram (16 grams lighter or about a half a troy ounce lighter than it supposed to be. Because of is declared purity, 999, the receiver expects to have at least 999 accuracy. This means he does have an adequately accurate weighting equipment. Does anyone knows what is stated +- deviation is weight for LGD bars? Because if it is less than this calculated weight deviation, then the tungsten story is a myth, to make buyers unsure. "Based on the above, I don't see how a tungsten filled LGD bar can be made." Don't BET your shirt on this one. Bron Suchecki works for the Pert Mint in Western Australia. The link below is to an article on his personal blog. "What is that tradable form? The LBMA standard for gold is 400oz+/- @ 99.5%+ purity. Two interesting features here: first the weight is not exact and second the purity is not exact or 99.99% (the purity retail investors usually get with coins and small bars). Why? Because it is cheaper this way. We are dealing with wholesale markets here, so they don’t want to pay unnecessarily for higher purity or exact weight, especially if the physical bars will be alloyed down to 9ct, 14ct or 18ct for jewellery anyway. With weight, it is cheaper to just pour molten gold into a mould and as long as you fill it up to the correct height, you can get a bar within +/-10% of your target weight. To get to exact weight, you need to precisely weigh out small gold granules then melt them and put into a mould (or vice versa). This process can be mechanised/automated, but there is still an additional cost involved." I believe that Bron does a great service to the gold-owning community by explaining the practicalities of the gold refining to manufacturing to depository chain and the way the gold wholesale and retail participants operate. The Kirby report is pretty mind-blowing. If he's right then there's about 8000 tonnes of fake gold in Fort Knox and potentially over 10 000 tonnes of fake gold somewhere around the globe. For comparison, all gold ever mined is about 165 000 tonnes and about 30 000 tonnes of this is estimated to be in the hands of central banks and official organizations. Yes, I have been looking things up myself, and your information regarding allowed deviations pretty much matched up mine. Besides, I was thinking that what could be done is to split the deviation between the weigh and the volume. Again, if we assume that the bar is half gold - half tungsten, then we will get only 8 gram lighter bar by making a bar just a tiny bit larger by volume (1/1600th), which is possible to hide quite well in lettering and the angle of the converging trapezoid sides! This combination would be quite hard to detect by the density method. Do you think national central banks are this lame, as to trust only density? I may not be able to afford an X-ray or emission spectroscope, but what is that to a central bank? Surely, more portable and reliable methods should be available to central banks, such as those based on eddy currents? Have anyone of you thought that if this tungsten story is true how many flase paper gold there is and consequences of it? Fofoa: thanks for the chart. are you sure you have soros in the correct list? I'm thinking his name might be a little more appropriate in the bottom-most paragraph...hell, even Madoff doesn't deserve to be that high. he's just the patsy who took the fall for the bigger boys, and over only 50 bill. at least the other guys are part of a scam between 23.7 trillion upwards of even 2000 trillion (or 2 quadrillion). And, that's just what we know of. All of the buying activity until this time, turned out to not be indicative of true accumulation plans by foreign nations and corporations. This is because the unknown part of what has been already completed, now needs to be acted out again, to keep up with the bullion levels planned. Many will need to catch up, - to put it simply. What a perfect "spark" to ignite the buying, I say. This will include all those who were in gold "they could fold". This also may finally be the best explanation of the whole point of physical possession to the people. So far, people aren't quite grasping this point. It seems to be prohibitively expensive to produce 1 OZ bars and coins of tungsten blanks. However, not everyone is rational. I wonder if there were ever any coins of bars with tungsten discovered, in the 1 OZ range. If yes, this probably would be the coins, nobody would ever suspect the official coins! (I know, the total bullion recovered from such a scam isn't worth the trouble). You are perfectly safe buying gold coins from any reputable source. There is an impermeable wall of separation between this tungsten bar story and any of the various rumors of tungsten coins. They are totally separate. Large bars held within the good delivery system and the central banks have a very slow circulation velocity. And they are rarely if ever looked at as long as they remain within this system. If you were to fabricate fake bars and successfully inject them into this closed CB/good delivery system, you would need to monitor closely where they ended up. You would not just set them loose on the market. You could not afford for them to get sold to the commercials who would melt them down for jewelry. So even in a low velocity system, you would still need to make sure they land somewhere and stay put. The purpose would be to free up and employ the real stuff in the commercial market (or to steal some of it for yourself). Coins are very different. They circulate among many market participants, who look closely at each coin, with a much higher velocity. These participants are all in it for profit so a stock of counterfeit coins would not make it very far, especially with the Internet today as a way to disseminate information. Based on what I have read on the Internet which is substantial, I don't believe there are many, if any super high quality fake coins circulating today. There are certainly plenty low quality ones, but high quality does not have a good cost/risk/reward factor. If some large buyer was duped with 400 oz. bars, it would have to be something like a CB or GLD. It is too risky to let these things out into the free market where they might meet a commercial. But if this duped buyer found out what he had, he might be inclined to keep it a secret until he could unload the bad bars on someone else. This may be what happened with GLD or BOE unloading them on China. As for counterfeit coins, they are mostly recognizable on close inspection. But they are good enough to unload to unsuspecting suckers who buy through the Internet from unknown sources. what about kilo bars? even though purchased from a reputable dealer, is there a chance these bars got through if someone in this business were lazy? Also, how do they assay them in house? i'm sure they weigh, but do they have a tank of water back there to measure density? can someone take any gold/silver they have to a reputable dealer to confirm that what they own is legit? Or should they just attempt to do some of the tests above? just curious. i doubt this affects me at all, but i be there are people who are more worried than I am. though i might just go out and see if my small amount of action is good. btw, i know i shouldn't laugh, but it amazes me that there was such a one-day take down in gold and rush to buy the dollar yesterday, and while gold could blow off some of the pressure it's been building on recently, i find it very humorous that the 12 hour uptrend in the dollar has already been broken. the week would look very bullish if the dollar closes below 75 and gold above 1120. the short term rally would still be intact. I guess not. This blog is forbidden for illuminati, so they would not come here posting. Is that what those illuminati are all about, secretly posting at FOFOAs blog? ...some good points and trends between the lines... Important is trade, products, factories. Real wealth of nation - in that is the real power. 5) It's in the mid of the desert and extreme droughts => a vineyard in a desert??? Very interesting country data FOFOA. Thanks for posting it. On the Russian story, was the collapse gap already posted? Maybe is this a good idea to make a list of 'must-read' books to inform the visitors and to increase their knowledge. So wheres your ideal place to live when all this goes down, Jimmy? My ideal place is in a country that has a retarded government that can barely function, that is used to currency problems and economic collapses. With plenty of rural people that have plenty of food. jimmy...timing is always one of those things that is just tough to call. but when i first heard of Panarin two years ago, I was floored. I didn't think much of it, despite knowing that we were skating on thin ice. after seeing the summer/fall of 08 go down, i was wondering if he wasn't dead on. though i can very easily see it happening on that timescale. 2010 is [was] supposed to be the implementation of the Amero and you know collapse will be a necessary part of that scenario. Moreover, it fits nicely with Brzezinski's balkanization plan for the major powers to subvert their influence and power and bring them under better control by the multinationals. It's one reason to be skeptical of how any of this plays out. We must be prepared for it all, no matter the hopes for Freegold. Regarding being vigilant...i'm vigilant against everyone, everywhere (though not in a paranoid way). the Pauls are a curious situation and I don't really know for sure on which team they play. Hell I'm even vigilant of myself, as it's always possible in going head to head with these guys that I was programmed in a certain way (or even via the "matrix"). We're all fallible. William Casey was famous for saying that "we'll know our disinformation campaign was a success when everything the people believe is a lie." That's how far they're willing to go. This blog not excepted, though i do not suspect anyone in particular here of anything but (what i am also guilty of) high hopes that a positive can come about in all this darkness. One thing I've learned throughout the years of propaganda studies, is that the very best will tell you truth about what's happening in hopes to get you to agree with their solution. In essence descriptive accuracy is not always commensurate with prescriptive accuracy. Always challenge where we should be going. also, nice little tussle going on in gold, silver, and the USD today. i keep wondering if the last few weeks hasn't been a symbol of sorts that someone somewhere is either pissed (less likely) or panicked. In either case, it seems that some very big players may be playing catch up for the tungsten scam (if true), or out of fear for an accelerated demise of the dollar. As sinclair always says, you can only manipulate in the direction the trend wants to go. Conspiracies are fine, as long as they are not posted by illuminati. More seriously I think it is rather clear that there is more coordination between various people on various topics than is openly admitted. Hence, conspiracies are reality. However, to some conspiracy theories seem to fulfill the same role as religion did in the past: it explains things they don't understand. @Anonymous: Uruguay. 100% certainly, did my researchs and visit it. Fantastic and with many possibilities in the future, when the new age of capitalsm comes back after goldstandard. In my older posts (1 or 2 days ago) on other articles, you could find more info about Uruguay. This is the last nail in the coffin. Now if we can time it when it will crack. All told we are looking the American economy is looking at rolling over about $15 Trillion in debt in the next three years, more than the present GDP of America. That doesn't include any new borrowing from the federal government, state and local governments, and private sector. About 40% of the $7 Trillion of marketable treasury securities matures in the next 12 months. That's $3 Trillion of treasury debt by the end of 2010. Gold.. Do we finally have your attention? The past two weeks have brought two massive paradigm shifts to a Gold market that has been morphing literally on a daily basis for the past few months. During this time, the pundits and purveyors of misinformation and tripe have done their best to ‘student body left’ Gold back into obscurity as an ancient, barbaric relic. They certainly get an ‘A’ for effort. Now that Gold has made its debut above $1100 an ounce, they’ve switched their tactic and are now calling it a bubble. We’ll deal with why this cannot be the case in a bit. While reading the last Bulletin from LEAP/E2020 two statements leapt out at me. Extracts below with some words in bold by moi. The author Kathy Lett once remarked that "Americans suffer from an irony deficiency". Could the European Giants help to address this problem? ".... and it is precisely the reason why 2010 is such a crucial year for the Europeans. If they don’t do anything about it, the Euro will become a safe-haven currency and it will rise until it suffocates the European economy....."
".... History, whose only “sense” is the sense of irony as often recalled by our team, is apparently ready to give the Europeans the role everyone thought would be played by the Chinese…"
Now Iran is doing it? Freegold? Seriously, what planet does Prechter live on? Buy unlimited dollars, because limited Gold is in a bubble? That cool-aids difficult to swallow. So Im here in Ukraine and besides the first few days when people were panicking, everything is normal now. Everyone now believes it is all politics and the radio stations are even making jokes now. One thing new I have noticed is that prices are increasing on a weekly basis. I dont know if it is due to the flu scare or if there is now a new trend of hyperinflation developing. Im one to believe that as countries collapse into hyperinflation/currency failure around the world, the governments are going to use swine flu as the scape goat and institute draconian control measures. Just waiting and watching now. Here is a great vid on the outsourcing of American jobs. Quite funny.. I am growing more annoyed every day by talking heads like Prechter that take certain stands only because those make them stand out in the crowd of other talking heads. There real bubble seems to be in hollow phrases and meaningless opinions these days. There are lots of reasons to regard Pretcher as less than insightful, but he has been entirely consistent with his thesis for many, many years. He is a broken record of the same muddled economic nonsense. Its completely wrong to suggest he takes "certain stands only because those make them stand out in the crowd of other talking heads." He has always taken those stands. The guy to really dislike in this regard is Mish, who consistently goes out of his way to put up the blinders and misstate and misappropriate Austrian/free market arguments in an unyielding effort to support his deflation thesis. Mish is truly public enemy number on in terms of playing games and twisting the wards/definitions/meaning to suit his pre-established position. He is the real hollow man, and he knows it, which is why he tries to couch his arguments in of terms of austro-libertarianism scholarship. He waves the false flag, claiming to be a Rothbardian to attract readers and cred to his whole " I'm a free market economist who doesn't believe in inflation and the dollar collapse nonsense." Its a self-serving sham that reveals his arrogantly dismissive view of the intellect of his readership. thanks for the insight, as well as the Engdahl article. That man seems to be a warrior. Will you please keep us posted? Also, can you please see if you can find a straight answer on this in your country. The WHO told member states back in July to cease laboratory testing to confirm A-H1N1. Moreover, WHO officials have said that that the test is "hit-or-miss" and is not that accurate. In light of that, how are they doing the test to confirm that anything is A-H1N1? @Martijn - what an astute observation and well-articulated comment that the real bubble is in hollow phrases and meaningless opinion! News was leaked in Belgian media that Belgian prime minister Herman Van Rompuy, who is being touted for the role as EU president, was at a Bilderberg diner yesterday. Apparently one of the things he proposed at the secret meeting is that it's time to introduce the first European taxes, especially a "green tax". @satyapranava; good post. appreciate your appreciation of the BIG PICTURE! @FOFOA; care to throw your hat into the ring vis a vis the astonishing recent kirby disclosures/speculations? implications? Does it all add up? Whats next? Thanks. I don't feel the same way about Mish. To me Mish comes across as quite intelligent and rather insightful. The only thing that he seems to miss, or does not want to touch upon, is the evaporation of paper - the stuff we talk about here at FOFOA. Mish has not been bashing gold, he hasn't argued that we're seeing the recovery yet or any other type of nonsense alike. I read Mish every now and then and tend to find it a welcome attribution. Besides that, Mish correctly argues that main-street is seeing inflation at this moment. Bank refuse to lend and continue to collapse; credit is not readily available. Inflation is in the making by all the printing, and it also tends to erode trust in paper. I would argue that long term an implosion of paper and a hyper-inflationary boom are quite likely, but at the very moment the streets face deflation. Mish is not wrong in that observation, however we seem to be more interested in future scenarios than Mish is. @martijn; I disagree completely. I (rightly or wrongly) pinged Mish as a false prophet 6 mos ago. He (and bird of a feather denninger) are certainly most expert at smugly examining each blade of grass forensically from the perspective of a curious and educated beetle. They both then (wilfully I suspect) draw the wrong conclusions on a macro level and are totally blind to the enormous economic and political changes occurring in plain view. I also get the sense of mock outrage. Just a sense... that they are both too glib and practised... something is not quite right. Just my opinion. @Buster B; a telling stunned silence following the Kirby revelations... which I suspect are right on the money (as usual for him). Anyone read anything at all on the Kirby bombshell? "The only thing that he seems to miss, or does not want to touch upon, is the evaporation of paper -the stuff we talk about here at FOFOA." How on earth can you attempt to defend someone like this? Someone who (claims) not to see the ONLY elephant in the room. Come on Martijn, do I defect an apologist in the ranks? Sorry, I am a little bit more cynical about possible motives than you are. Seriously though, how can you try to lend credence to a professed "analyst" who "seems to miss, or does not want to touch upon... the evaporation of paper.."
Surely this is THE ISSUE! Rob Kirby’s unearthing of the potential huge gold bar salting news got me thinking about all of the changes in the way the U.S. Mint categorizes their holdings of treasury gold. The U.S. Mint’s annual reports can be accessed here http://www.usmint.gov/about_the_mint/index.cfm?flash=yes&action=annual_report. Custodial gold and silver reserves consist of both “Deep Storage” and “Working Stock” gold and silver. Deep Storage is defined as that portion of the U.S. Government-owned gold and silver Bullion Reserve which the Mint secures in sealed vaults. Deep Storage gold comprises the vast majority of the Reserve and consists primarily of gold bars. Working Stock is defined as that portion of the U.S. Government-owned gold and silver Bullion Reserve which the Mint uses as the raw material for minting congressionally authorized coins. Working Stock gold comprises only about one percent of the Gold Bullion Reserve and consists of bars, blanks, unsold coins, and condemned coins. 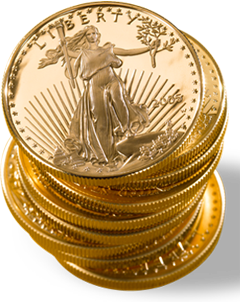 Treasury allows the United States Mint to use its gold and silver as working stock. Generally, the United States Mint will replace its working stock when used in production with purchases of gold and silver on the open market. In those cases where the gold or silver is not replaced, the United States Mint reimburses Treasury the market value of the depleted gold or silver. What do all of these changes mean, and how does it fit in with Mr. Kirby’s revelations? Starting in 2000, the gold was divided into 2 categories with the working stock available to the Mint consisting of only 1.2% of the total amount of gold. Now the following is a hypothesis, but the shoe seems to fit. If the gold in Fort Knox and West Point was swapped with counterfeit tungsten filled gold bars, then the government could not have the mint accessing the tungsten bars and melting them down for coinage. By dividing the gold into 2 categories and only allowing the mint access to 1% of the gold, no one would ever know about the crime. Not only would no one know, but any senators or foreign central banks that were granted visual access would see room after room of bars that looked and weighed just like gold. Since this division was made in 2000, not one ounce of gold has been added to or removed from the total of the operating inventory/deep storage gold. If all this is not weird enough, since 2005, there has not been any change to the quantity of working stock gold. I have no idea how the Mint can manufacture 100’s of thousands of gold coins per year and the amount of working stock remains the same year after year. I was not trying to defend Mish. I was only saying that his analysis does not seem untrue, it is just not exhaustive. But is does not seem to be lying outright, and he has not been bashing gold or tried to convince anyone that the dollar would remain strong or that recovery is underway. For me reading Mish every once in a while provides an interesting addition to the bigger picture. If you feel differently you are quite welcome to do so. I would encourage everyone to make up his own mind about what is happing! "...The volume of outstanding interest rate derivatives contracts – the largest segment of the derivatives market…rose 13 percent to $437,198bn concentrated in maturities greater than five years. It’s clear to see the trigger for the next financial crisis. If CDS took the financial system to abyss and its notional value at its peak was estimated at about $38 trillion; what will occur if interest rates unexpectedly rise on $437 trillion of derivatives?" If Gold Tungsten Gate is true - surely the guys who poured these bars are dead? I to, do think that Mish is a fake. I liked him as an underdog, coming into the economic commentary arena, and getting right into the midst of it. But, the more I read him, the more the real picture of his analysis approach turned me away. His major wrong is that he is visibly a propaganda artist. He predicts deflation. The deflation is impossible, and this impossibility has nothing to do with economics. It has everything to do with corruption, bribes, bad intentions and cronyism, in other words - government. Any time economy would like to deflate, the government has all the tools it needs to inflate it right back or to hyper inflate. There is absolutely no risk on the deflation side. To continue to forecast deflation therefore, is to continue to dissipate the propaganda that there is a free market. He is a paid duck, and he obviously does his owner's bidding. And, I agree with other things you guys have already said about Mish. Is China cooking the books? Hedge fund investor Jim Chanos believes China is heading for a crash. He claims sector after sector in the Chinese economy is facing overcapacity and he points out that there are inconsistencies in Chinese official statistics (like soaring car sales but flat gasoline consumption). I used to wait for the next article by Mish (Shedlock). No more, no more! I just wanted to say that I have called Russia, and they say the prices are on the move up and increasing visibly. They say: "If your paper currency can only be printed by your own government, this is because no one else is interested." He predicts deflation. The deflation is impossible, and this impossibility has nothing to do with economics. That is where we differ. For the moment deflation it is. There is hard data proving that credit for the man in the street is collapsing, banks are failing and lots of prices are falling quite drastically. At the same time money is being printed harming the dollar. However, the real collapse of paper is not happening at this very moment nor has it for the past year. It might any time soon, but it did not just yet. That is what I said before: Mish is correct in describing the situation as it is, but fails to notice the future path. I think it is a good idea to visit the deflationist camp regularly. It helps you to avoid "confirmation bias". In other words if we only read material that confirms our viewpoint we risk the possibility of persisting in error. I don't accept that you can identify a trend in deflation or inflation by looking at "prices" alone. It tends to muddy the waters IMHO. For example gold is DOWN 25% from its last peak in my local currency. What does this gold "price" tell me? Should I SELL gold or be grateful for my good fortune and BUY more? If you are "experiencing" rising prices it is tempting to call it "inflation". If you "observe" falling asset prices it is tempting to see "deflation". My analogy for this time is that we are seeing the waters receding (deflationary indicators) and then comes the tsunami (hyperinflation) of currency crisis. Inflation or deflation cannot be determined by looking at prices alone indeed. Also, inflation and deflation are not as general as some people want you to believe. Firstly, there are heaps of definitions on inflation and deflation (a thing Mish has addressed quite nicely in one of his posts). Secondly, deflation can occur in one type of goods, while deflation occurs in another. Over the past years we have seen inflation in stocks, housing and many other things, while computers and other electronics might have been suffering from deflation. I would rather argue that using fiat money brings certain dynamics that cannot be described by the mere terms inflation and deflation. The trend of debasing fiat world wide that has been going on for the last century might be described as the advancement to a new system instead of calling it mere inflation. Mish seems to be quite right on at least a some of the monetary dynamics we witness in our world today. Fofoa and his predecessors seem quite right on another part of the picture. I prefer reading both and besides that I do occasionally read the Prechter type of fiction just to test my vision. Apart from all the financial developments this economic stuff is quite interesting for the way we crowdsource our knowledge through the Internet via great forums like this very one. We see a lot of misery all around, but the type of gatherings we find here are quite enjoyable in my opinion. @martijn; give it a rest on Mish please... thou doth protest too much, methinks. There are more things to discuss here than one (deeply?) flawed blogger. Ditto for denninger. Good microanalysis but utterly blind to the BIG PICTURE. They are both clever boys and able to join dots. Their failure to do so leaves me to ponder motive. I was beginning to think that you are Mr Shedlock himself! Lets return to the message rather than the messenger. There are enough false prophets in the MSM, and only a fool would believe that they have not been liberally seeded throughout the blogosphere like grains of tungsten in an LGN brick of gold! Inflation is an increase in the quantity of money, and a deflation is a decrease in the quantity of money. What does it have to do with prices? Prices may or may not follow the inflation up or the deflation down. Changes in total production, total population, import-export, people's confidence in paper, and product quality affect the result by changing prices. For instance, recently, us government policies resulted in substitution of high quality us made goods with low quality Asia made goods. Prices become lower than they would have otherwise been. Does this mean there was no inflation? Then again, consider this: let us say that there was an increase in total quantity of money, but the production increased proportionally, so that the prices per product stayed at the same level. No inflation? Quite the opposite. The government just stole all of the increased purchasing power from you, that you would have enjoyed after an increase in production and without governmental interference. Even if prices did certainly follow the changes in the money supply without any regard to confidence in paper, production , quality and population, those still would be changes in prices, not the inflation or the deflation themselves. With this said, what does it matter that the newly created claims on wealth are currently held by banks? They still do exist and these banks now enjoy greater purchasing power while you will suffer once they spend the money. And what of the situation where There was an inflation but you spend while I stopped? Does this mean that there were no inflation? No! All that this say to us that the effects of the inflation (theft) by the government are temporarily mitigated by non-spenders! The inflation still happened, irregardless of what had happened to the prices. What does it mean "deflation in housing"? I do not understand this term. Are you referring to prices? Or are you referring to a temporal differences in money density throughout the economy sectors? This is exactly the kind of stuff that Mish spews out constantly. He is like Greenspan, a lot of lips movements and no statements. To me, he does not represent the Austrian approach, and therefore, can not be taken seriously. He is just one of many of those jokers, weather they call themselves Keynesians, Friedmanites or Santa Clauses. Jesus H. Christ.. all agreed on martijn. reel it in partner. you have been banging on about mish on all your posts for quite a while. self-revealing and increasingly shrill. as with everything on the internet CAVEAT EMPTOR. there are many mish's out there. believe them at your peril. up to you to deduce siver (sinclair, chapman, willie, fofoa, quinn, GATA/kirby etc) from dross (mish et al). Vesuvius is about to blow again, the lava is flowing towards us and you are assuring us that Mish is the Messiah! fair enough... it is your right and you have made your point. lets move on PLEASE. Hope fofoa is composing some thoughts on tungsten. These advantages make tungsten enjoys the superiority to be the best substitute for the costly metal of gold or platinum. Assuming that a tungsten story is true, do you guys think it will actually make it into a scandal? Is it even reasonable to expect anything more than just articles, guesses and rumors with regards to Fort Knox? Alright guys, didn't mean to bother you and I really don't care about Mish that much, although I have perhaps signaled that wrong. What I was trying to do was tell you that to me economy seems to be a bit more complicated and subtle than saying that hyperinflation is guaranteed and that gold will save the world. You know I find your writing to be of a much higher level than that and I hope that by now you know that I did not mean to address you with any of the above. But alright, lets move on, sorry to have bothered anyone if I did. That would depend on where the tungsten flowed. If it went to the wrong and a big enough party, a scandal will arise. However, any party finding tungsten in its gold would probably try to exchange it for real gold by threatening with a scandal, so it might take some time I guess. Off course there might also be a scenario where individual bloggers find tungsten in their gold and start posting it on the youtube. That could easily create a scandal I reckon, although for that to be sustainable a big party would in the end be required. Once again I do not mean to bother anyone, but I personally prefer not to think of economics as a religion where the austrian school is the only correct faith. Some elements of theories that have been used so far seem quite reasonable, while other might not. I would argue that an open mind can be a rather valuable asset in those matters. I like the way you put it with possible gold scandal. Continuing on that path, we must envision affected parties exchanging their tungsten for gold. But! Gold is a zero sum game. For someone to receive gold, someone must receive tungsten! More tungsten could certainly be made. Gold? Not so much. I tend to think that "Knox & Co." would rather get tungsten, than risk a scandal. But then again, what kind of trust in our debts can we count on, knowing that our creditors now know for sure that what we hold is tungsten? I think FOFOA nailed this issue when he said that to pull off the scam they would have to make sure that none of the fake bars fell into the hands of fabricators eg. jewellery trade. So most of these fakes were introduced into depositories where they would lie undiscovered for a long time. Q. Why risk distributing the fake bars more widely (as Rob Kirby alleges)? If they were used to loot Fort Knox etc the PTB can keep that a secret indefinately. If Rob Kirby is right about the quantities involved maybe GLD was designed as a dumping ground for the rest. Q. Or was this leakage unintentional? In a scramble to deliver under high demand someone pulls bars from the wrong vault. If the Freegold concept is correct the paper gold market MUST be blown up at some point. Another (or FOA?) predicted that the CFTC and the Crimex would protect bullion banks by changing the rules in their favour as necessary. I think the CTFC's talk of imposing position limits is cover for attacking the LONGS ie. one last rip-off as they abandon the field. (Check out Gentsler and Chilton's pedigrees - 100% Wall Street insiders). So if the Giants want to blow up the paper market and the Crimex can thwart them "Where is their point of attack?" IMHO the place to attack is GLD and other ETF's with perhaps either overstated or non-existent LGD gold bars. If you expose them you taint every paper gold instrument with suspicion. I think that the fact that the whistle was blown by the Chinese is a tip-off. By blatantly protecting the shorts Crimex would be de-legitimized as a physical gold market. That leaves the ETFs to be blown up and then we progress to a 100% physical-only gold market. All the Chinese would need to do to execute this strategy is to be the "victim" of a scam they could "discover". Then "leak" the details to the gold bugs. The test will be if this makes it into the mainstream. If it doesn't it may just be more dis-information from the PTB. I tend to think of inflation/deflation as pure monetary terms i.e. increase/decrease in the money supply. Which should be used mostly in economist discussion. On the other hand what average person is interested is simply the price. Then to bridge this two camps I think the media should explain that inflation/deflation is because of the changes into the money supply and then as consequence of the flow of the money we get change in the prices. The money flow is where printed money flow which as consequence creates price increase. F.e. at the moment most of the money flow into the stock market so we have increased stock prices. The inflation has already been created it is a matter of time for it to show up in most unwanted places like oil,food,etc.. Looking it this way also may explain how we can get increase in prices w/o increasing wages. You just need a crash in the stock market for the money to flow out of there into another place. A increase in interest rates can easily cause this, because most of the stock market speculation is possible because of easy money for the banks on low interest rate. Even if in crash alot of ppl lose illusory money, many of them have cashed their profits in a sense creating base money. As per FOFOA explanation the base money are the ones which will be the main force that will increase the prices on things we don't want to have higher prices. At the same time the deflationary forces will probably continue to act in prices of houses, cars and such. What are your thoughts about the dynamic of the money flow ? and as another measure of the money velocity changes ? I don't deem that impossible at all. Perhaps For Knox is filled with tungsten already. I think I generally agree with you. At the moment the public is saving, banks aren't lending and the velocity is slowing, resulting in deflation in most items in the street. At the same time base money is being drastically enlarged, and we are seeing inflation already in bankers bonuses, stock prices, precious metals etc. By extending base money inflation is lurking. Another major factor is that trust in paper is being undermined every day. In my opinion the evaporation of that trust might create the most trouble at some point (e.g. hyperinflation). I can't comment on what happened to the price of gold in Russia when they defaulted, but I can say what happened to the price of gold in Argentina when THEY defaulted; it did VERY WELL THANK YOU! Unlike what happened in Russia as per the author of the excellent article up above, in Argentina there was NO shortage of gold buyers at any time and prices were always paid at spot ..or ocassionally above! Physical possession of gold or other precious metals was never restricted, prohibited or even specifically TAXED by the Argentine government. In fact owning gold and real estate are considered the two SAFEST havens in Argentina for difficult financial times and believe me Argentines know TONS about difficult financial times. Is the Dollar "Good as Tungsten"?